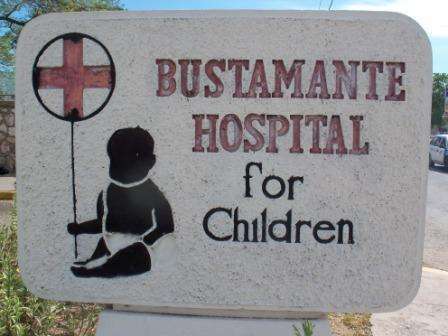 The South East Regional Health Authority, SERHA, says it has found no evidence to support claims that children awaiting cardiac surgery at the Bustamante Children’s Hospital, have died due to the long wait to get a space at the Intensive Care Unit, ICU at the facility. In a statement today, SERHA says it’s still treating the matter seriously and has ordered an immediate audit into surgery waiting times, for patients with cardiac complaints. It says the audit is already underway and will allow it to identify deficiencies and ensure corrective actions are taken. SERHA says it has placed high priority on the completion of a Cardiac Centre at the Children’s Hospital, located on Arthur Wint Drive in St. Andrew. It says the responsibility for the construction of the building lies solely with stakeholders, led by the Digicel Foundation. According to SERHA, the building is now 70-percent complete and requires another 1-hundred-and-4-million dollars to finish construction works. That sum will also cover the cost of providing furnishings and equipment for the new centre. SERHA says the National Health Fund has committed to providing the necessary funding and work on the centre is set to resume by the end of the month. The new completion date is December 31 this year. Upon completion, the Cardiac Centre is expected to add 10 more ICU spaces at the hospital. In the interim, SERHA says it has outfitted four additional ICU bed spaces until the building is completed.